He was in the car when 3 of his family members were killed. 10News reporter Matt Boone speaks to Ray Velasco Herrara about the crash and how he is recovering. 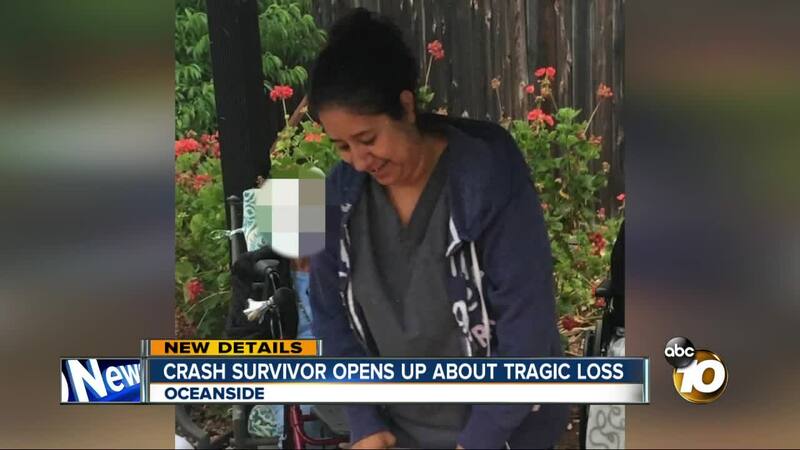 OCEANSIDE, Calif. (KGTV) - After being in a crash that killed his wife, sister-in-law and mother-in-law last week, Ray Velasco Herrera was released from the hospital on Saturday. Herrera suffered a concussion and lacerated spleen, along with lingering pain throughout his body. But he is still alive. Herrera was driving his silver Mazda sedan east on Oceanside Boulevard when he was T-boned by the driver of a black Toyota pickup. Herrera's 13-year-old daughter was thrown from the car but survived with minimal injuries. His wife, Petra Arango, was taken to the hospital but died. Her sister, 56-year-old Eloina Arango, of Mexico, and their mother, Rufina Rodriguez, 74, of Fallbrook also died. “It’s heartbreaking. There’s no words to explain that kind of a loss,” said Herrera. Mason Fish is accused of driving under the influence during the Feb. 5 wreck, in which Oceanside police say he ran a red light on S. Coast Highway at Oceanside Blvd. Prosecutors say they found cocaine in the 19-year-old's wallet. Fish's defense argues he had just learned that his grandmother had died and was on his way to the beach to clear his head. Neighbors told 10News that Fish was released on $800,000 bond. Friends are still trying to raise money for the Arango family. A GoFundMe has been set up to pay for medical and funeral expenses.